I don’t know about you, but social media never ceases to blow my mind. Some days all you see is negative post after negative post; natural disasters, wars, social injustice, the list goes on and on. Other days you’ll see nothing but positivity; engagements, new babies, heart-warming stories and random acts of kindness. Although the most recent social media trend has an underlying negative cause, you can’t deny the overarching positivity factor. According to the ALS Association, as of today, August 18, they have received $15.6 million in donations compared to $1.8 million during the same time period last year (July 29 to August 18). These donations have come from existing donors and 307,598 new donors to the ALS Association. While some are arguing the Ice Bucket Challenge is a waste and an annoyance since many of the posts neglect to talk about what ALS is and why you should donate (other than it’s a good cause), it’s hard to overlook the impact the challenge has had. Motor neurons reach from the brain to the spinal cord and from the spinal cord to the muscles throughout the body. The progressive degeneration of the motor neurons in ALS eventually leads to death. When the motor neurons die, the ability of the brain to initiate and control muscle movement is lost. With voluntary muscle action progressively affected, patients in the later stages of the disease may become totally paralyzed. The most common form of ALS in the United States is “sporadic” ALS and makes up 90 to 95 percent of all cases. “Familial” ALS means the disease is inherited. Only about 5 to 10 percent of all ALS patients appear to have genetic or inherited form of ALS. 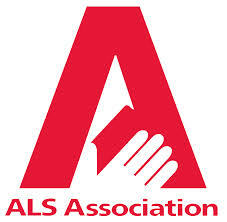 Based on U.S. population studies, a little over 5,600 people in the U.S. are diagnosed with ALS each year. It is estimated that as many as 30,000 Americans have the disease at any given time. According to the ALS CARE Database, 40 percent of the people with ALS in the Database are women. Most people who develop ALS are between the ages of 40 and 70, with an average age of 55 at the time of diagnosis. However, cases of the disease do occur in people in their twenties and thirties. Generally though, ALS occurs in greater percentages as men and women grow older. ALS is 20 percent more common in men than in women, however with increasing age, the incidence of ALS is more equal between men and women. According to a study published in July 2013 by the Muscular Dystrophy Association, a very conservative estimate of the annual total cost of ALS for U.S. families is $63,692. That number is comprised of medical costs ($31,121), non-medical costs ($17,889) and lost income ($14,682). This is not an urge to go do the ALS Ice Bucket Challenge. Even if you have been challenged, but really don’t believe in the ice bucket concept, don’t do it. If you have been challenged and you’re committed to donating, go all in. No matter your stance, do take the opportunity to get informed about the disease and understand it’s impact on those people who live with and die from the illness. There are thousands, if not millions, of various causes we have the opportunity to donate to, and all of them deserve to get the kind of awareness and funding the ALS Association has received in the wake of Ice Bucket Challenge posts. And although it will take ALS much more funding to find a cure or treatment, it would be close-minded to think this social media movement doesn’t matter. Because at the end of the day, despite if there is a treatment available or not, the pain, grief, loss and brokenness that life-threatening illnesses brings to those afflicted and their families has the ability to all feel the same. Therefore, if ALS isn’t something you feel compelled to donate to, by all means, don’t do it, but we do urge you to find and donate to another cause you feel connected to and passionate about. Also, let the Ice Bucket Challenge teach you a lesson on giving. You may not agree with the way the message has been spread, but it goes to show that through the power of word of mouth and using the tools you have available to spread knowledge and resources, you alone can be a catalyst for change. Can Women Trust Online Medical Care?